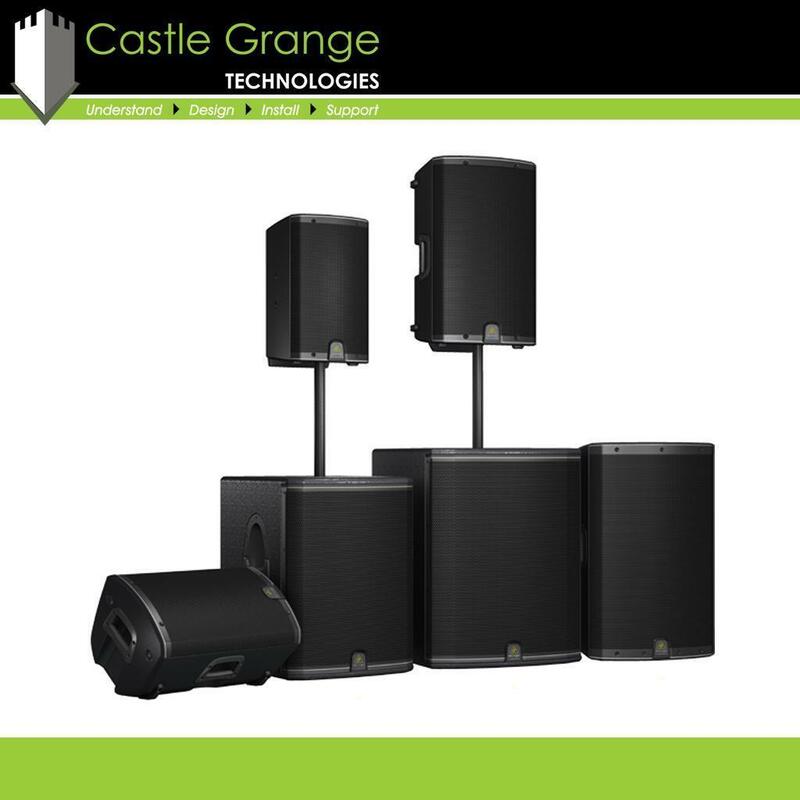 Whether you need to project your voice to a large audience in a theatre, play music in a reception area, or you simply require a set of speakers to complement your presentation system we have an audio system suited to your requirements. We are able to offer the supply and installation of speakers, mixers, zoners, amplifiers, and microphones and we can create a bundle package for an audio solution suited to your scenario. We have the knowledge and the experience to help with audio requirements as much as you need us to. No matter the scale or scenario, our experts can identify and specify a suitable audio solution. 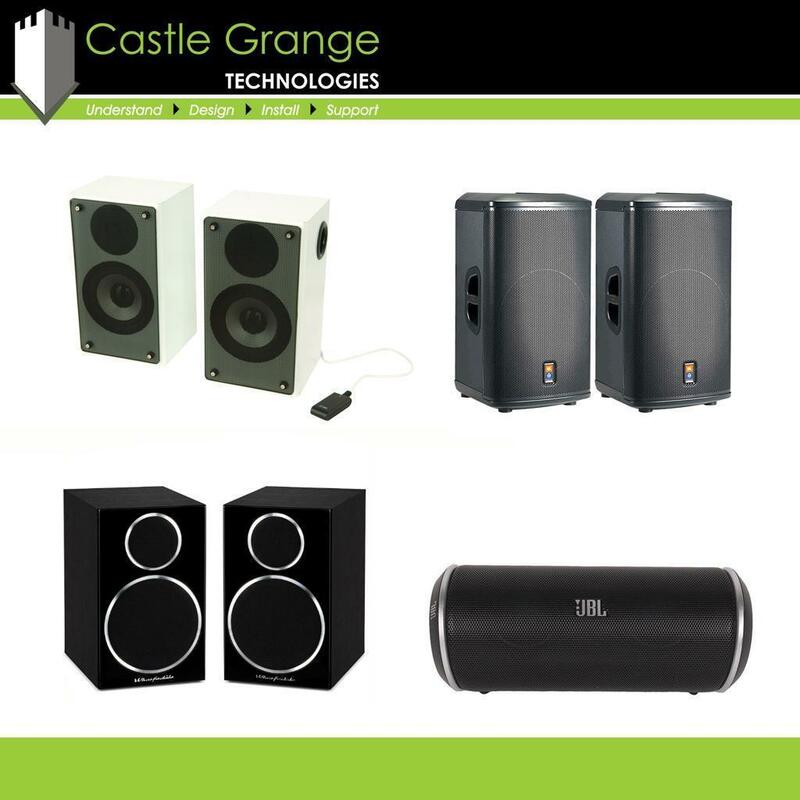 Whether you need technical advice on which speakers are suitable for you, or you simply require a quick quotation for the supply of a certain model, Castle Grange can help. We understand that there are hundreds of different models of speakers, making it difficult for you to choose the audio solution that is right for you. This is where our free consultancy service comes into its own, we get to understand your requirements before recommending the most suitable solution. We offer a professional installation service from our team of engineers. Our reliable team of experts ensure that you can depend on us to be your one stop shop for audio systems. 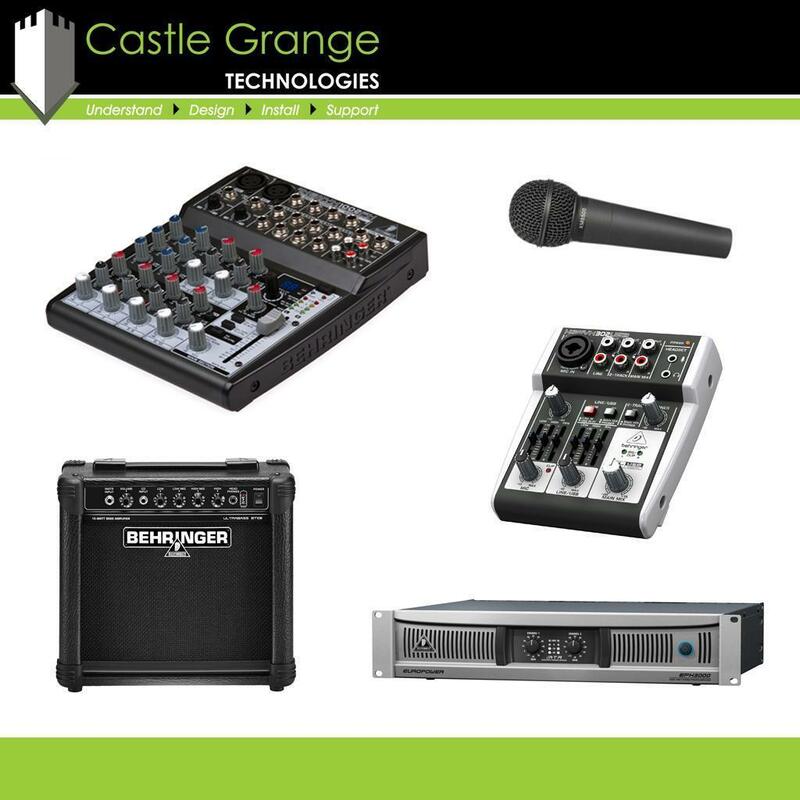 All of the audio systems we sell are covered by a manufacturer’s warranty, however, if a customer has a problem with their audio system then we want to help and want to be the first point of contact. We understand technology is relied upon and so we aim to reduce the downtime of any of our customer’s audio visual technology with our fault call service and AV maintenance contracts. You can view our photographs and videos relating to Audio Systems by using the tabs below.